We have started to work on the compost heap. 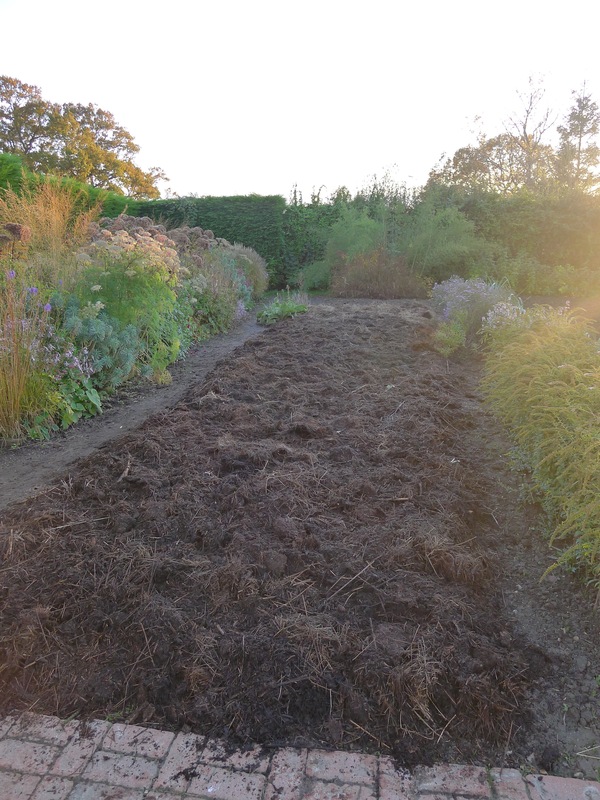 The first job is to get rid of the compost from the sides that has not broken down as much as the inner part of the heap, we use this to cover plants that are both tender and or need some organic matter added to the soil that we are not going to dig in. So the first on the list for today was the rhubarb. Rhubarb plants are very hungry and so organic matter is a great help, we have the same plants since 1912. I want to grow rhubarb here in SC but I am told that it is too warm. But you know me……always challenging the system, so I would like to grow it from seed. Sounds nuts huh? if I want to get a jump stet can I buy two year old clumps? I am stupid when it comes to rhubarb. Help, oh mater teacher………. Of course you have to grow it. Put it in a very large pot in rich soil, when it gets too hot bring it into the covered porch with AC . It will bring you joy every morning with your breakfast. This is the sort of thing that makes gardening fun. I look forward to seeing your results. Of course the answer is do it.